Customize the look and feel of your home design with the Replace Materials feature. Try different materials on fixtures and furniture or create your own custom colors. Windows, doors and staircases are some of the most important features in a home. With the Replace Materials feature you can change the finishes on window and door surfaces, frames, trim and even the hardware. 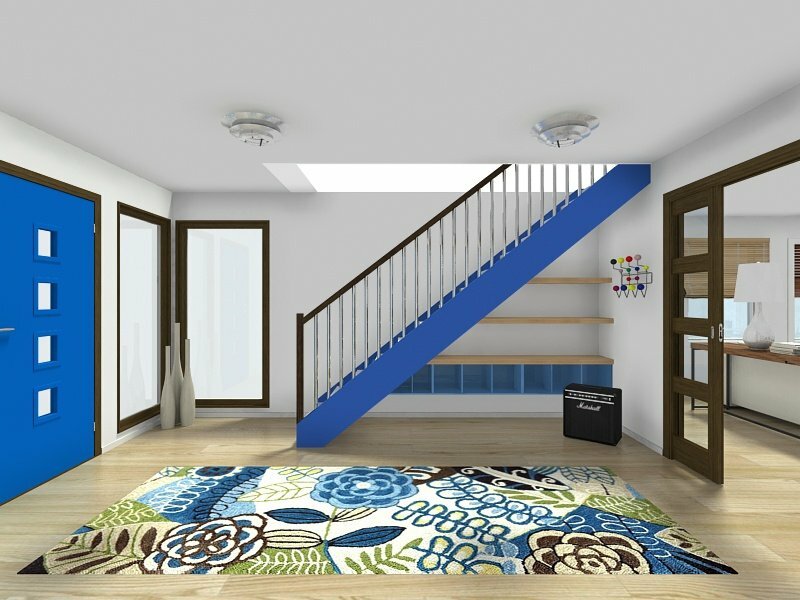 Customize the look of staircases with different materials on the treads, stringers, railings and more! Once your kitchen layout is complete, you can replace the materials and colors on the kitchen cabinets and countertops. Try different combinations of materials and colors to find the perfect style for your kitchen, before you start remodeling. Customize fixtures and furniture to match the look and feel of your home. Try out different materials on furniture, lighting, kitchen cabinets and more. It’s the perfect way to visualize products and “try before you buy”. Look for the color wheel symbol on items that can be customized. The Replace Materials feature is available with our RoomSketcher VIP and Pro subscriptions. Start by creating a free account, then upgrade your subscription at any time!